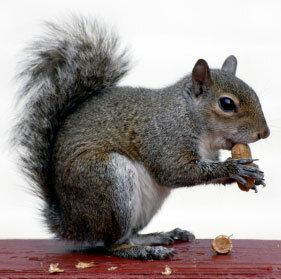 We have two species of squirrels in Southern New England, the Gray Squirrel and the Red Squirrel. Both will invade homes, chew wiring and destroy wood along the roof lines with their gnawing. Do not block holes in a structure until you’re absolutely sure all squirrels have been removed from the building.